I deal with divorce and separation including resolving financial matters, domestic and international. I also deal with complex and protracted private children law matters together with child abduction and removal from the jurisdiction. 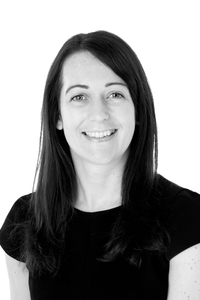 I can advise on and prepare cohabitation agreements, separation agreements and pre-nuptial agreements. I also assist in resolving family disputes when there are capacity issues either of husband or wife or of a child. After completing a law degree at Bristol University with a year in Japan, I joined Barlow Robbins LLP in 2005. I was made an Associate in November 2010 and Partner in June 2014. In 2017 I received my Family Law Advanced Child Abduction and Private Children Law Accreditation. I am committed to approaching matters positively and constructively and am on the Surrey Resolution committee. I am a keen runner and an enthusiastic scuba diver, even off the UK coast. "Since Joanna Farrands took on my case last August every hearing reached a positive conclusion we could build upon until I gained 50/50 shared care of my son with a very strong order"
"Joanna and Beverley Cullis worked very hard and expertly to achieve the result and Joanna really went the extra mile." Joanna Farrands is "very proactive and sensible" sources note. Joanna Farrands is well equipped to deal with challenging divorce, financial remedy and children issues. Sources say: "She's brilliant, persistent and really client-focused. She's fantastic to work with." Joanna Farrands is very calm under pressure while dealing with some of the most complex cases. "Singled out by one impressed client as 'fantastic - available, friendly and just absolutely brilliant. I'd thoroughly recommend her'."